Date nights aren't something that we've gotten a lot of since becoming parents, but when we do have them, they're always the nicest and best occasions. This past weekend was no exception. 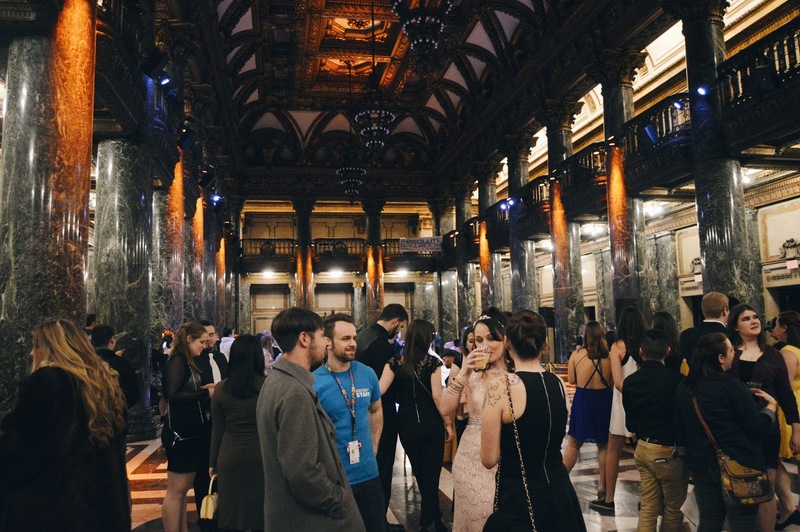 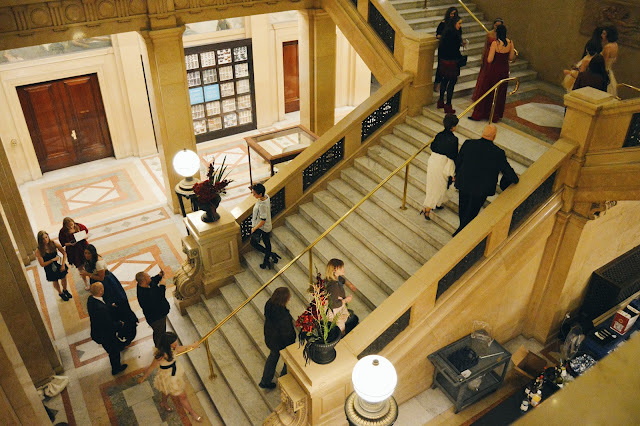 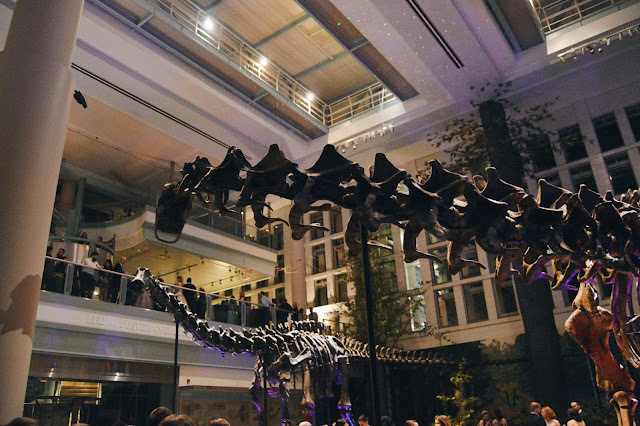 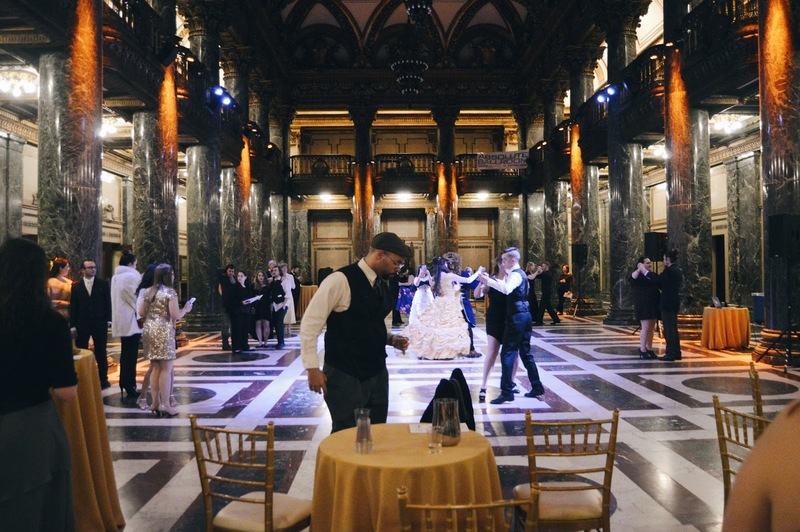 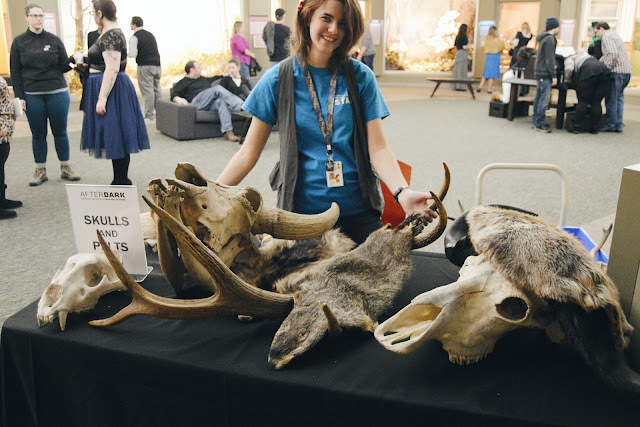 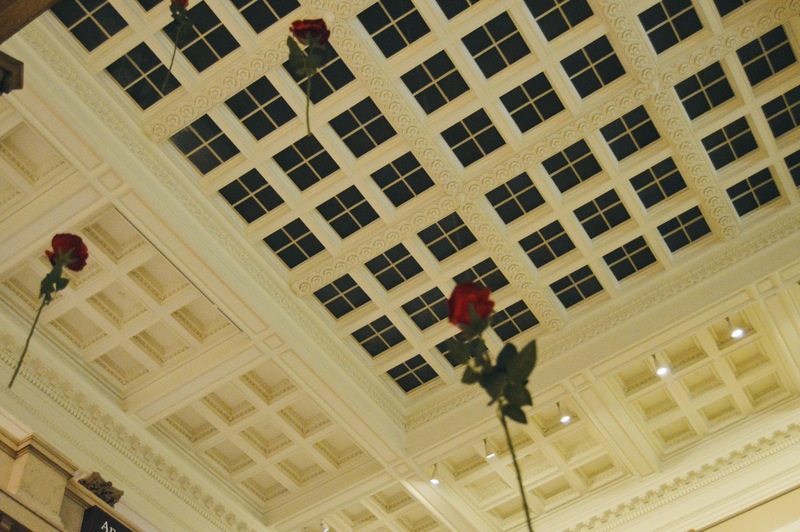 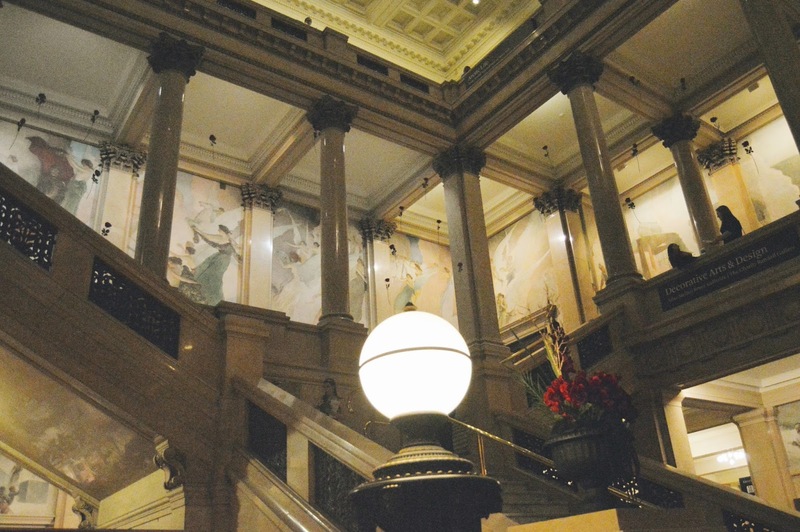 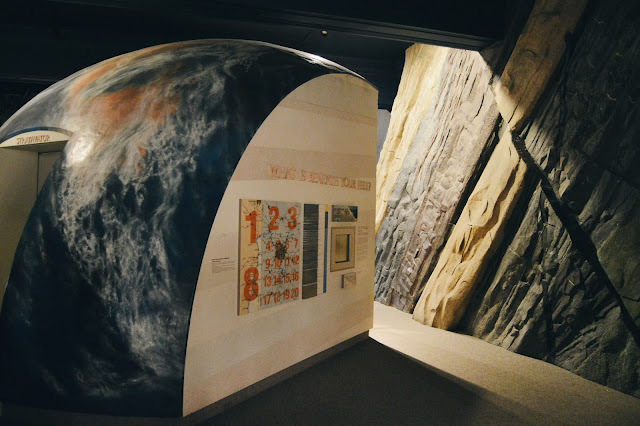 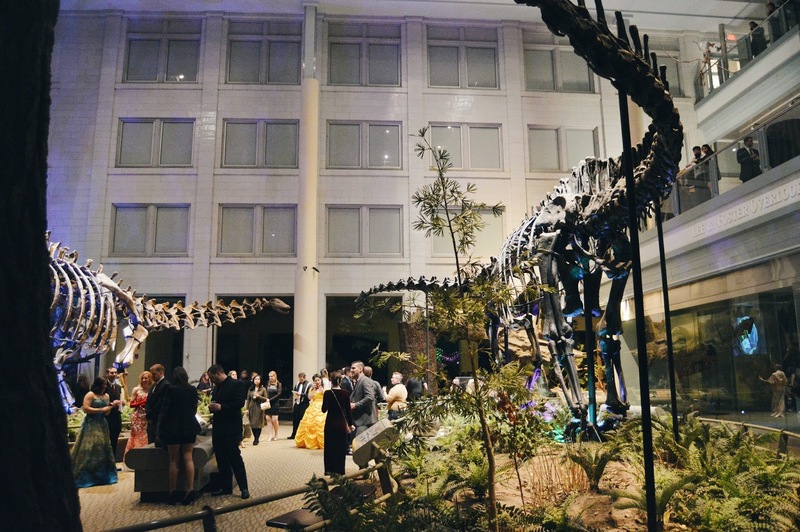 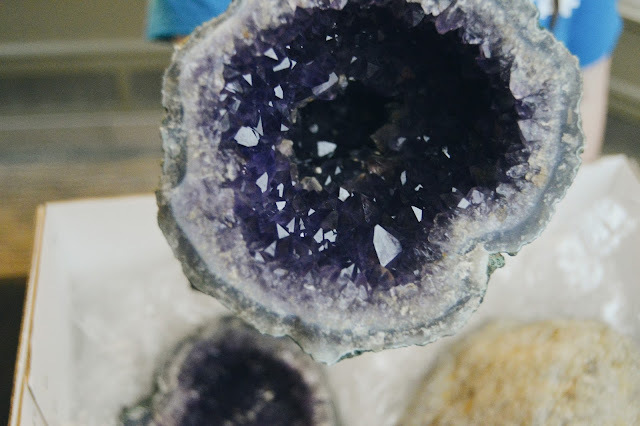 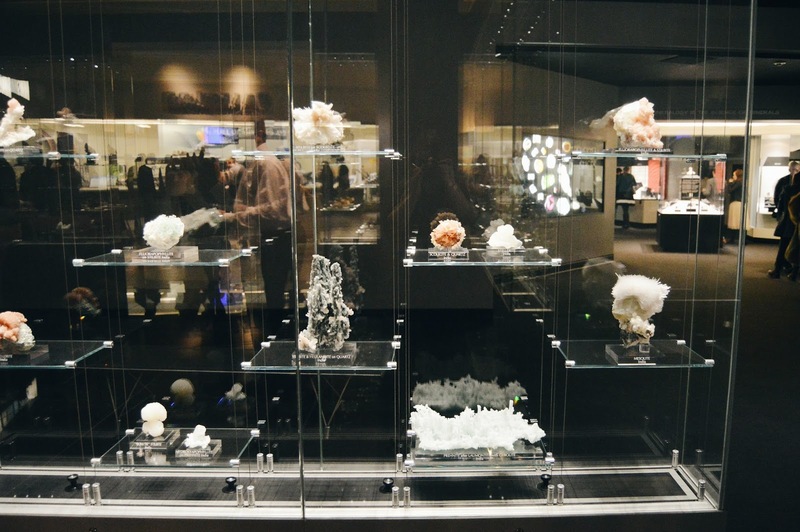 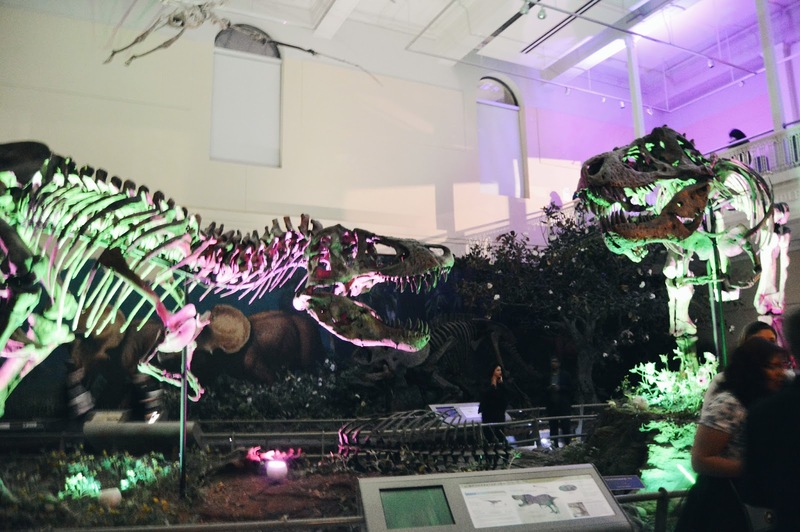 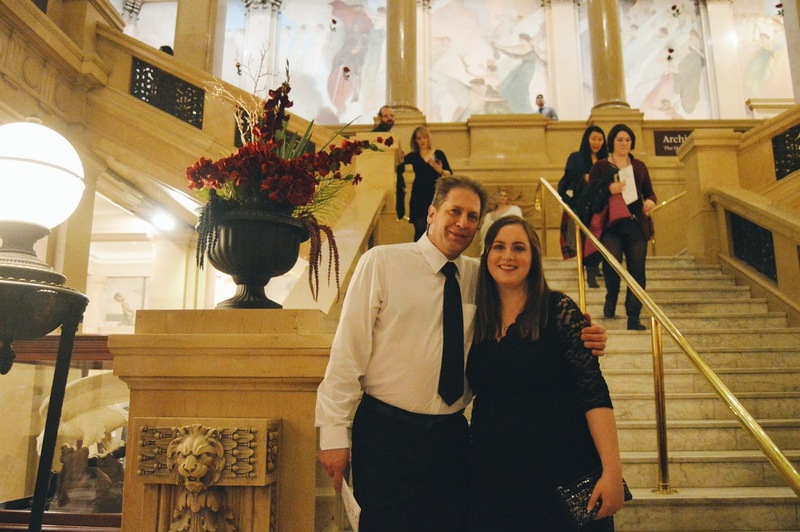 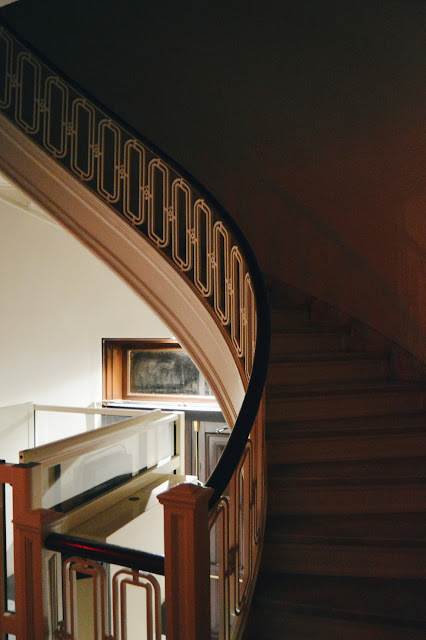 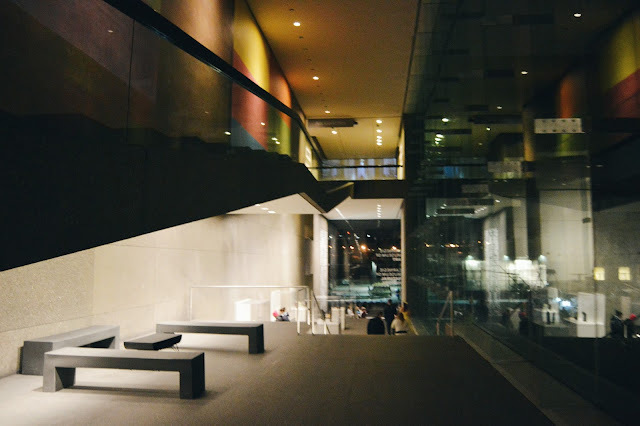 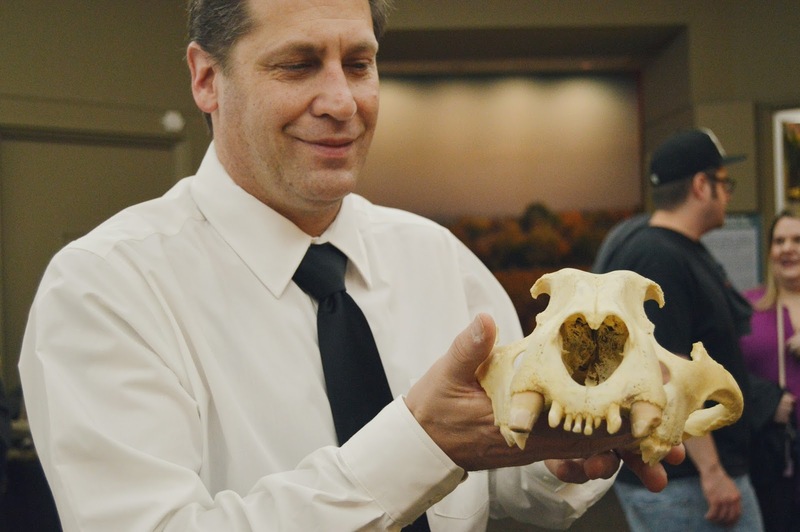 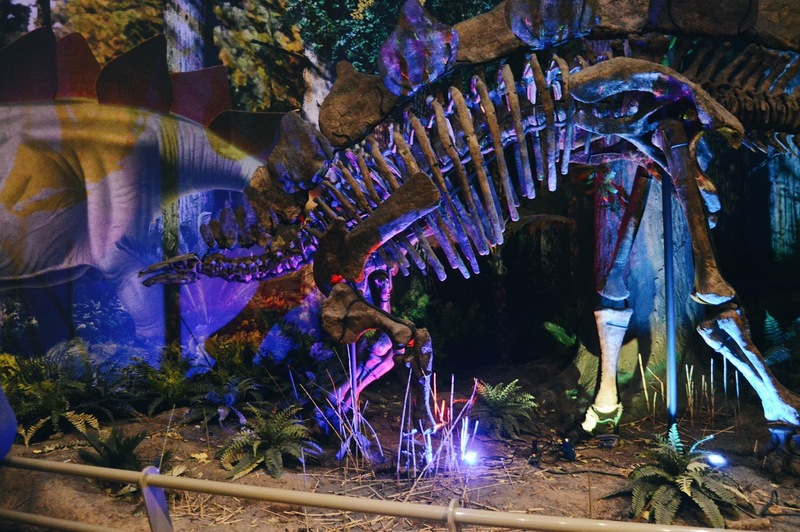 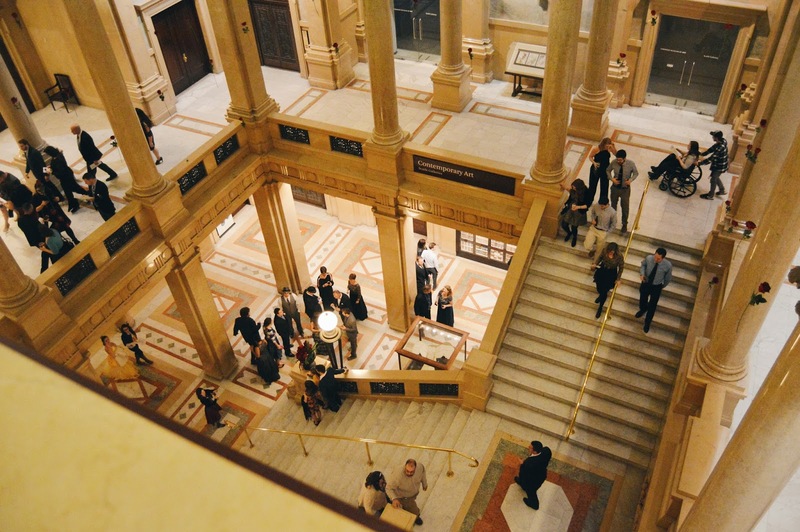 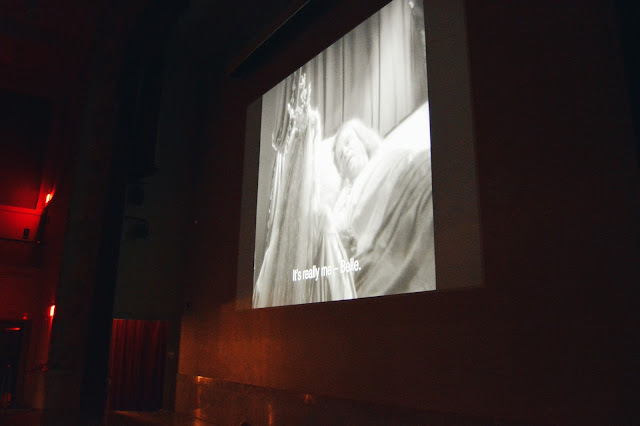 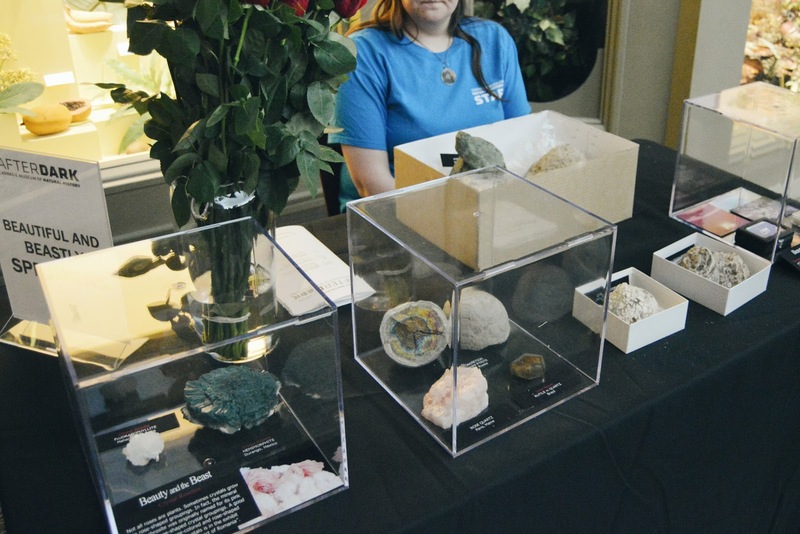 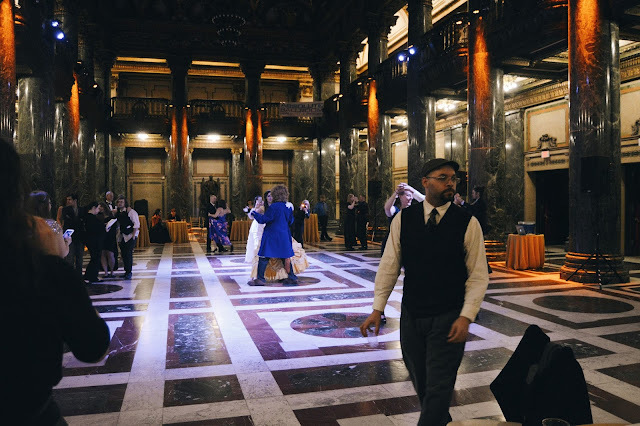 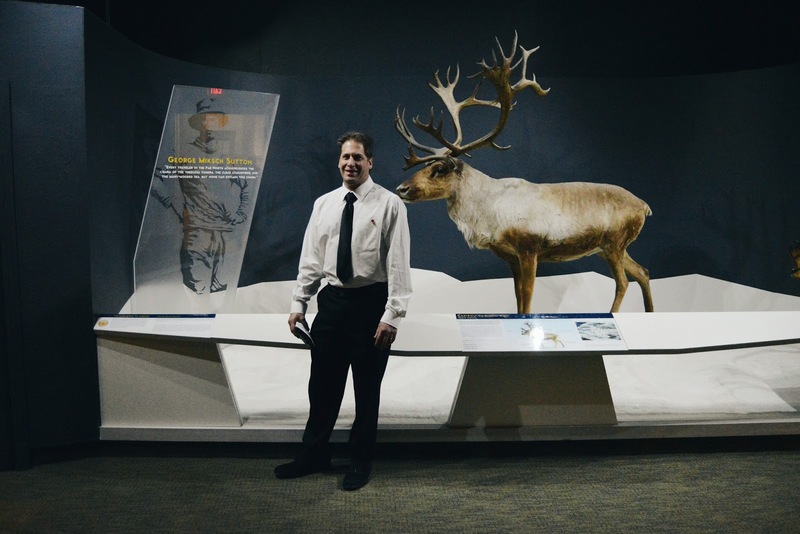 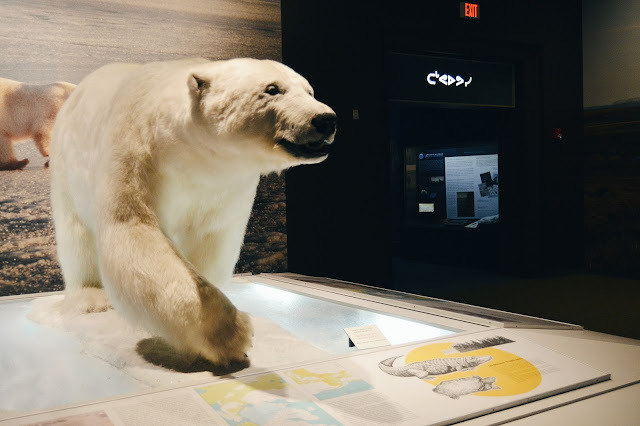 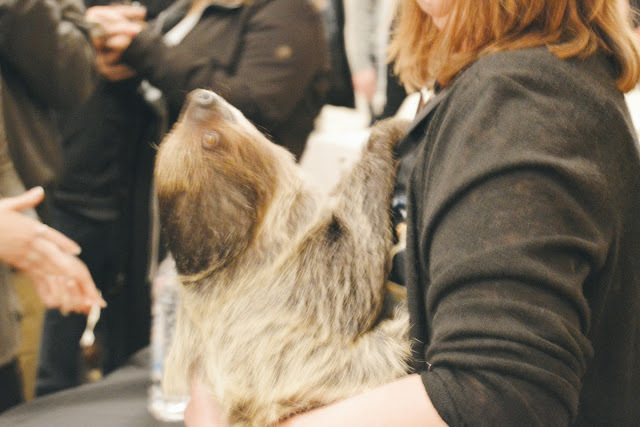 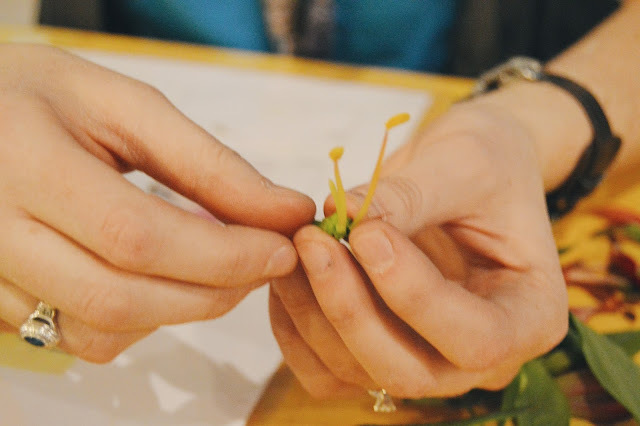 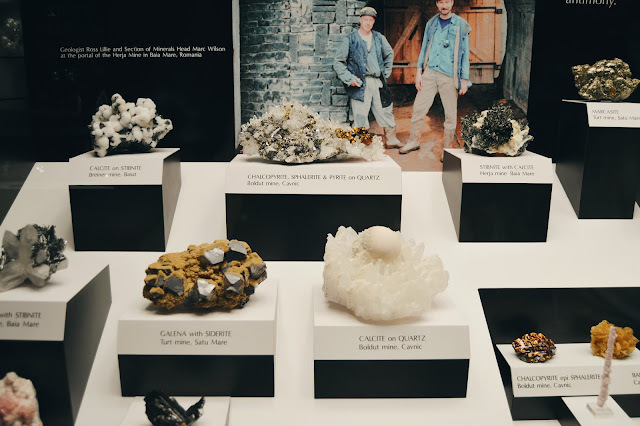 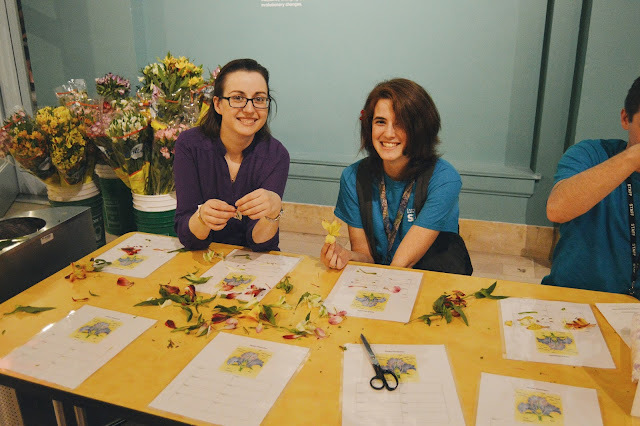 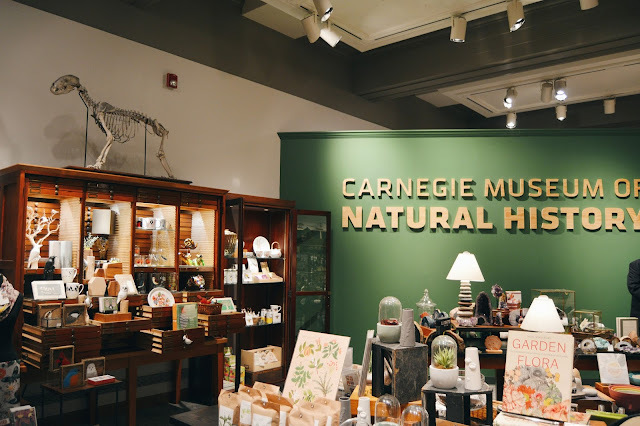 Five times a year, Carnegie Museum of Natural History opens it's doors after regular hours to adults aged 21 and over, and it's quite the grand event. 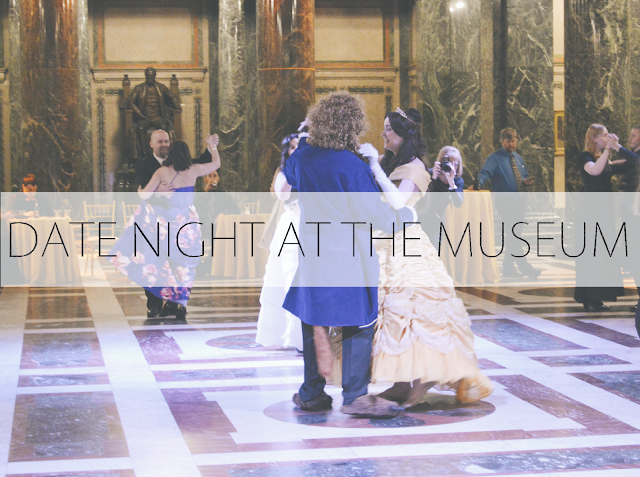 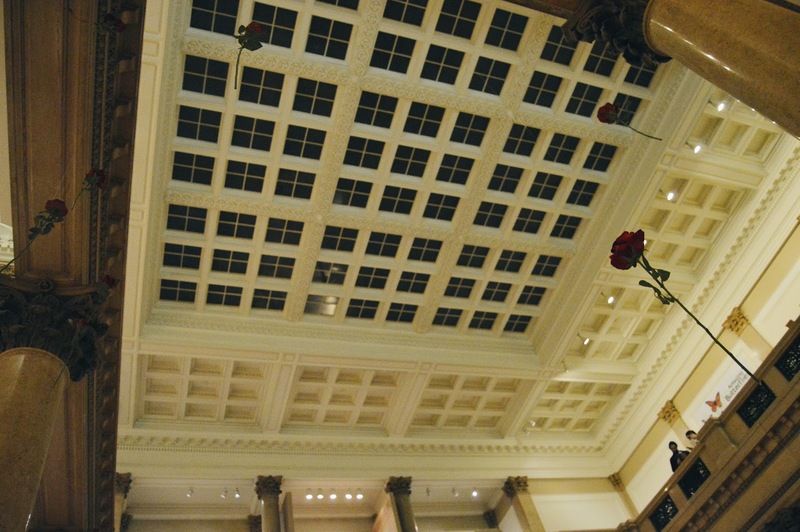 Gall gowns, suits, everyone is dressed to the max and to see the museum at night gives it a whole new atmosphere. 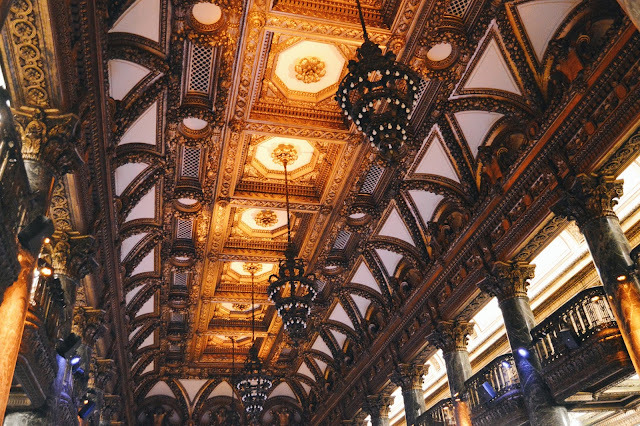 It feels so castle-like, filled with a little mystery and lots of hustle and bustle. 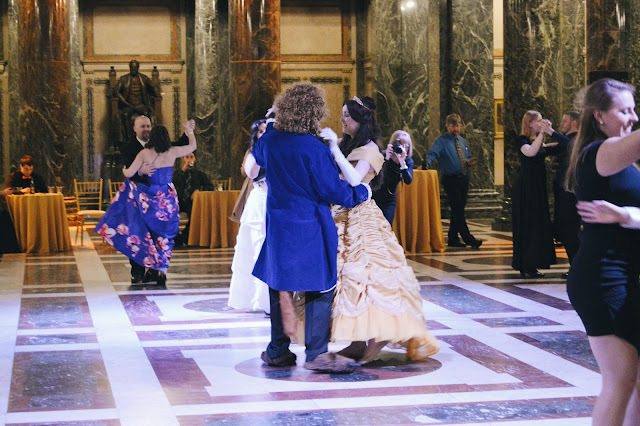 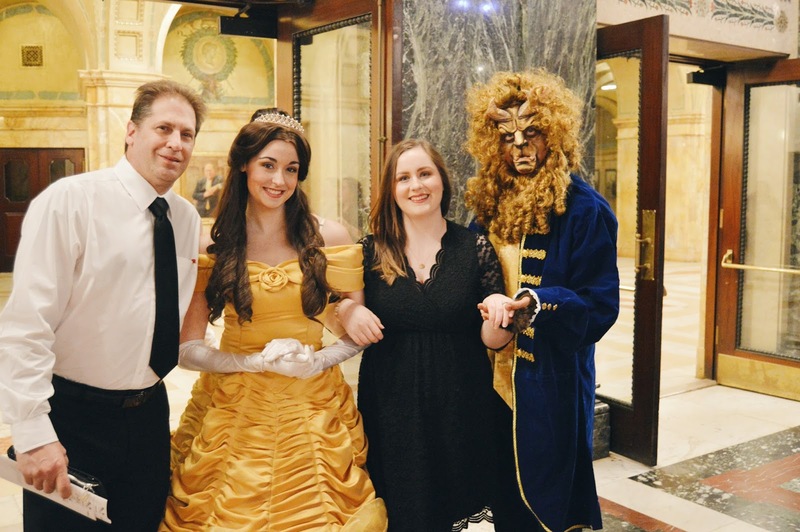 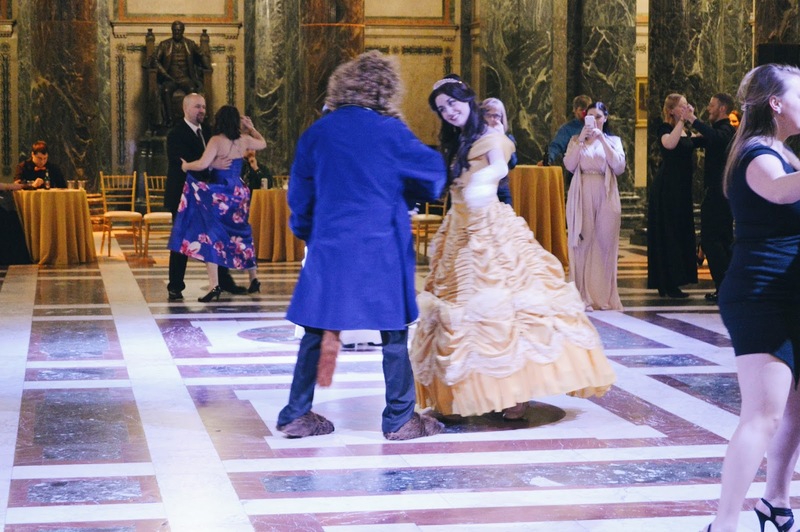 Each event throughout the year offers a new theme, and this one was Beauty and the Beast themed. We got to meet Belle, The Beast, Gaston, Mrs. Potts and Cogsworth, we seen dancing (there were free dance lessons, how fun), got to examine beauties of the natural world (some of the most beautiful geodes ever, amethyst is always one of my favorites) and beasts too (hubby even got to hold and look over real tiger and polar bear skulls), we got to dissect flowers and learn about each piece and petal and what the names and functions of each piece was (so very interesting), there were places to create and built fun things, you could dig for dinosaur bones and don't even get me started on the real live baby sloth we got to see! Simply the cutest! There were beverages and small eats available for purchase too! 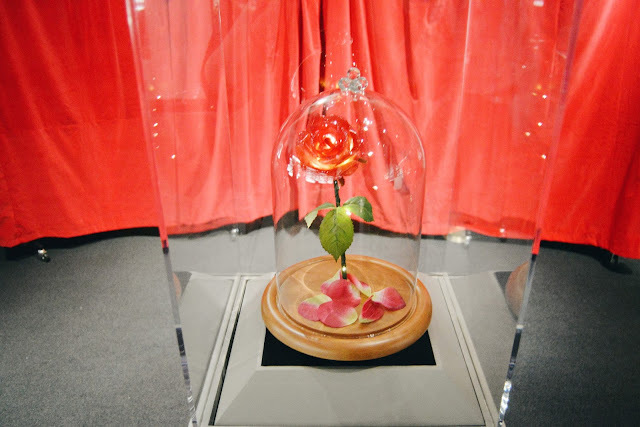 Belle's "magic" mirror was there in the form of a photo-booth, we got our photo there, found an old fashioned hidden movie theater that we never knew was at the museum before (it's seriously so beautiful) and they were playing a vintage version of Beauty and The Beast (the version from 1946), looked at the "magic" rose, and just walked around enjoying each other's company and the music playing. I just loved how the dinosaurs were lit up with colorful lights and also the many roses hanging from the ceiling above the grand staircase. 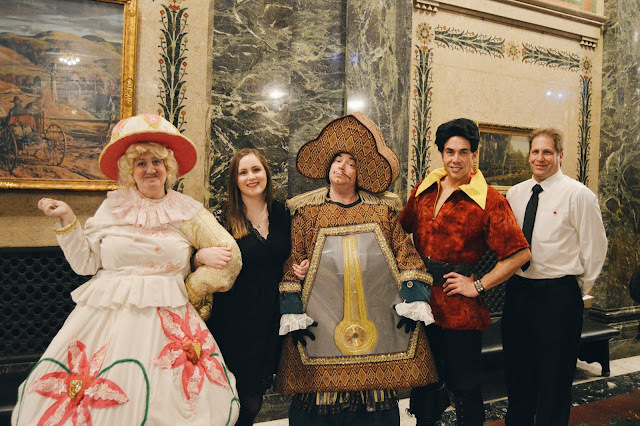 The Pittsburgh Philharmonic was there later in the evening playing the score for the new Beauty and The Beast but we ended up leaving before then, even though that would have been exciting to hear. 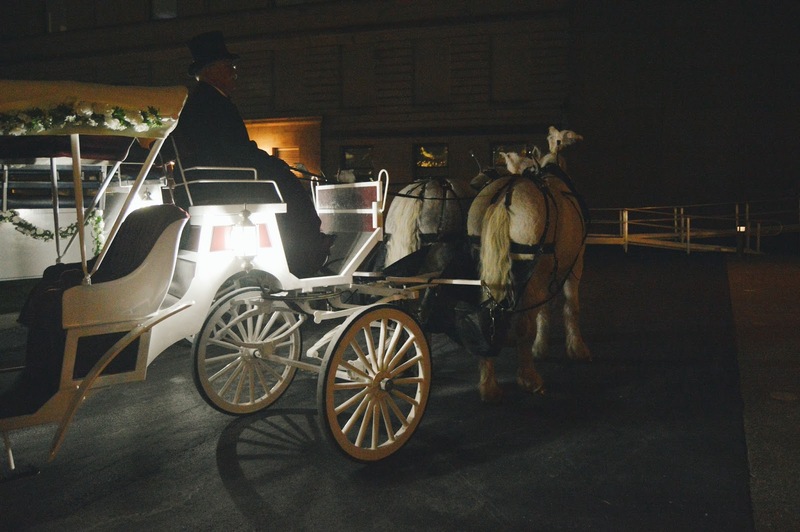 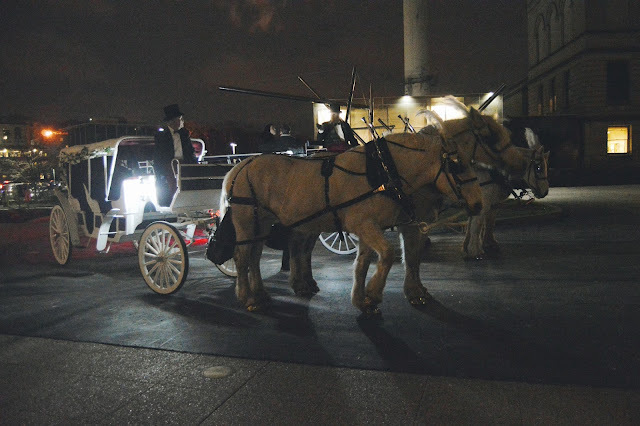 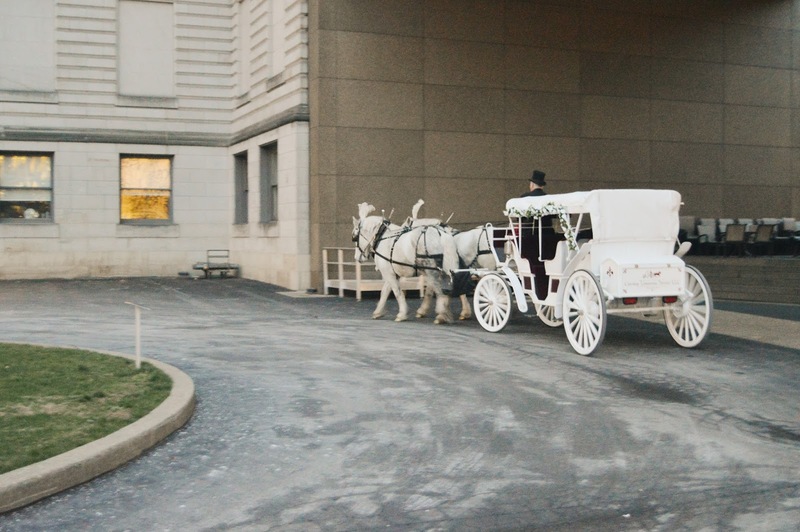 We ended the night in the perfect way though... with a horse and carriage ride! 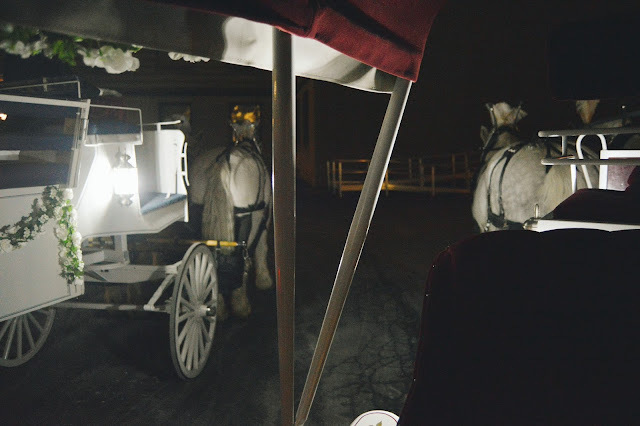 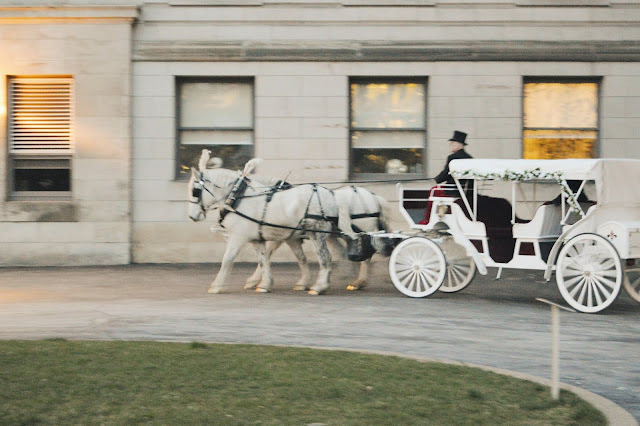 I was so excited to ride in a carriage since I never have before and it was even better since I had my love sitting next to me. 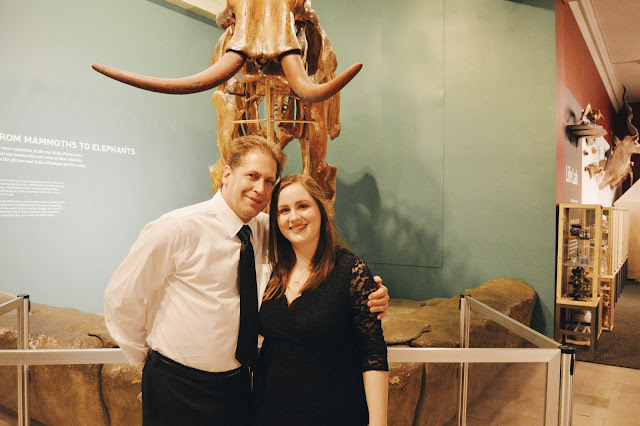 It was such a lovely evening, definitely a date night to remember for my husband and I and we're looking forward to the next one! 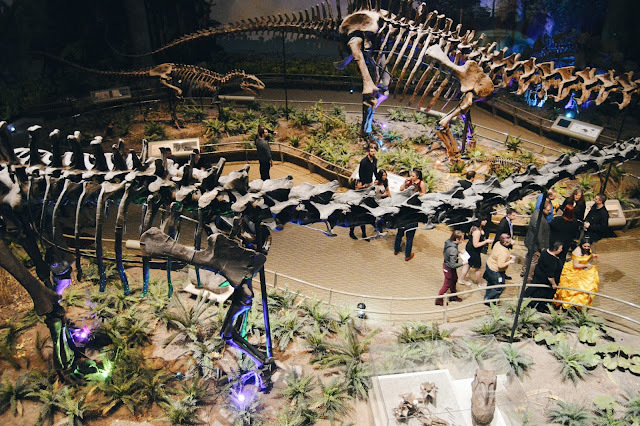 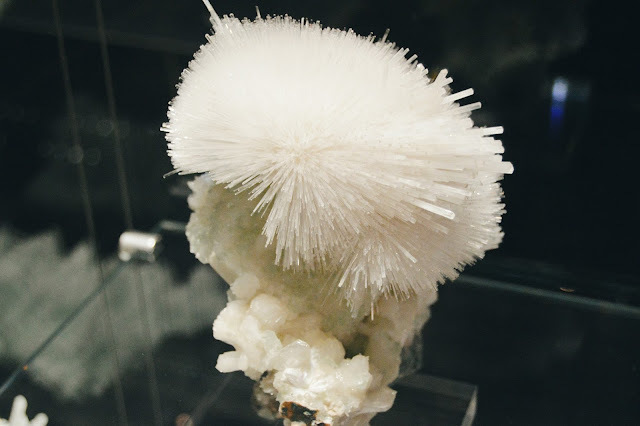 If you're looking to try something different to spice up your date nights, I suggest Carnegie Museum of Natural History AFTER DARK! 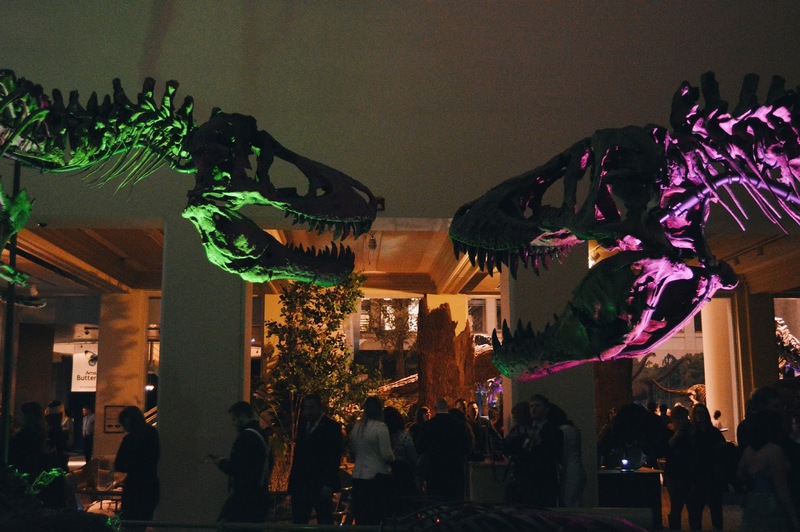 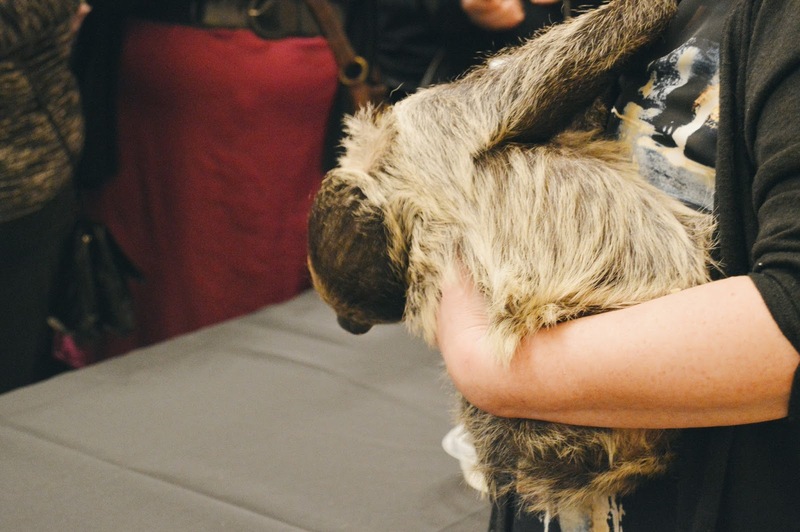 Check here to see the next upcoming After dark event and snag your tickets before they sell out!